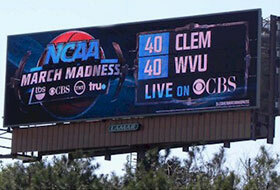 Baton Rouge, LA – April 7, 2011 – Commuters in Kingston, Ontario, will continue to have eye-catching ads to look at on buses, thanks to Baton Rouge-based Lamar Advertising (Nasdaq: LAMR). 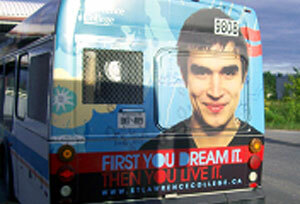 Kingston Transit announced the renewal of the city’s transit advertising contract with Lamar Transit Advertising on April 1, 2011. Lamar Transit Advertising has been in partnership with Kingston Transit for five years and the relationship is acknowledged as mutually beneficial. The new advertising contract award is for two years and includes two additional one-year options. “We are pleased to extend our business relationship with the City of Kingston’s Transit Division,” said Steve Copeland, Vice President and General Manager of Lamar Advertising’s Eastern Canada markets. Kingston Transit currently has 48 buses serving 10,000-17,000 riders per day. The buses circulate 16 hours a day throughout Kingston and into to the neighboring community of Amherstview, in Loyalist Township. 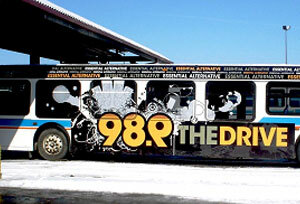 Lamar Transit Advertising connects advertising agencies and direct clients to the transit advertising medium, exposing advertisers’ messages on Kingston buses which circulate more than 3.1 million miles annually. 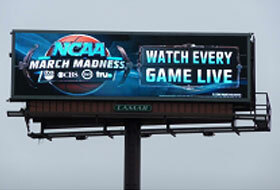 Lamar Advertising and Turner Media Group recently launched a digital campaign that transforms 19 of Lamar’s digital billboards into giant scoreboards with live-streaming updates from the NCAA Men’s Basketball Tournaments airing on the CBS, TNT, TruTV and TBS networks.